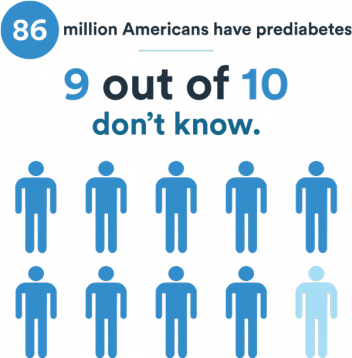 Most Americans know someone who has diabetes. 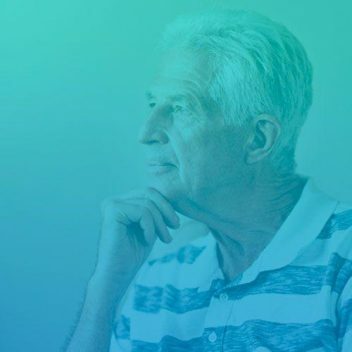 In fact, the prevalence of the disease is growing in the U.S. More than 29 million people in the country are living with diabetes, and 8.1 million people don’t know they have the disease. It’s expensive too. Medical treatment and lost wages for people diagnosed with diabetes costs $245 billion annually. About 86 million people have pre-diabetes, according to the latest numbers from the Centers for Disease Control and Prevention — 9 out of 10 people don’t know they are at risk. Want to download this piece as a PDF? People with diabetes are those people who have to prick their fingers, inject themselves with insulin or drag around an insulin pump or a bag of medications. If they just got off the couch and stopped eating too much sugar, they would never have gotten the disease to begin with, right? While being overweight is a known risk factor Type 2 diabetes, those who have a family history of the disease or had it while pregnant are also at risk, regardless of weight. And Type 1 is actually an immune disorder that occurs when the body destroys its own insulin-producing cells. Through education and developing support and coping mechanisms, people with diabetes can overcome it — and hopefully, understanding will also lead to more compassion. Fat, obese, overweight, big fat pig, lazy, slothful, couch potato, over-eater and glutton — these were a few of the negative stereotypes associated with people with Type 2 diabetes, according to participants in a study conducted by Jessica L. Browne and colleagues published in 2013 in BMJ. 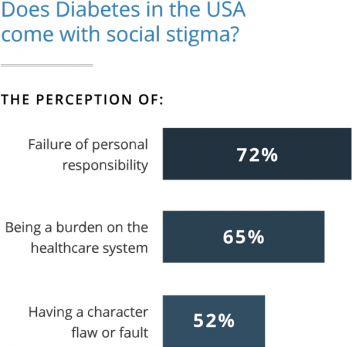 Few other diseases carry the social stigma of diabetes. For example, most people never blame breast cancer patients for getting cancer. There are a number of positive, empowering campaigns for cures and awareness. Supporters wear pink and celebrate survivors. According to the American Cancer Society, the 5-year survival rate for women with breast cancer that has not spread is nearly 100 percent. But in contrast to other diseases, the public is less accepting or encouraging of people living with diabetes. 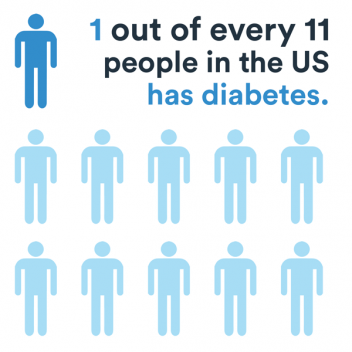 In fact, studies show more than half of Americans with Type 1 and 2 diabetes feel others blame them for their disease. A staggering 83 percent of parents of children with Type 1 feel the public blames them for causing their child’s disease. For example, a common practice among health care providers and people without diabetes is to call someone with the disease a “diabetic.” Karen Kemmis, a diabetes educator with SUNY Upstate Medical University in Syracuse, New York, says this labeling is a “huge pet peeve” of hers and many educators and people with diabetes. According to Kemmis, this depersonalization contributes to the stigma. The burden of the disease on those affected can be considerable. Experts call it diabetes distress, a mixture of depression, anxiety and stress. Research conducted by Dr. Lawrence Fisher, professor at the Diabetes Center of the University of California in San Francisco, found about half of people with diabetes will experience it. Fisher found one of the contributing factors to the distress is “social burden.” The stigma attached to the disease takes its toll, Fisher told Diabetes Forecast. Researchers found suffering from distress and stigma-induced shame leads to poor self-care and worse health outcomes. “Elevations in depressive symptoms and/or diabetes-related distress should be recognized as a predictor of problems with medication adherence in adults with type 2 diabetes,” Dr. Jeffrey S. Gonzalez associate professor of psychology at the Ferkauf Graduate School of Psychology of Yeshiva University, New York, told Endocrine Today. The more intense the therapy, the more intense the stigma, Alexandra E. Folias and colleagues of dQ&A Market Research found. For instance, 43 percent of those with higher A1C levels who injected insulin or used a pump felt stigmatized, versus 25 percent of those with lower A1C levels. 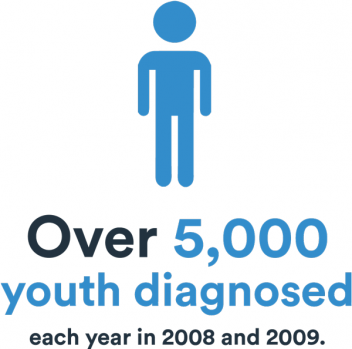 The damaging stigma surrounding the disease comes from a handful of myths. One of the strongest and most hurtful myths is that people with Type 2 diabetes wished it upon themselves and willingly gave themselves the disease. Kemmis has seen firsthand how the blame negatively impacts people with diabetes. For instance, another factor that increases the risk of developing Type 2 is gestational diabetes. Gestational diabetes occurs when pregnancy hormones decrease insulin sensitivity. After her Type 2 diagnosis, Sue Rericha — a 45-year-old elementary school teacher — had a friend tell her, “Oh, it runs in our family too, but we’re watching our weight so we won’t get it.” She told Diabetes Forecast that she felt her friend was calling her “fat” even though she had a normal body mass index and Type 2 ran in her family. She also had gestational diabetes during pregnancy five times. While lifestyle factors such as physical activity and weight may increase the risk of developing Type 2 diabetes, age, race and genetics also play a large role. Mothers who have gestational diabetes caused by pregnancy hormones also have a bigger chance of developing the disease. This myth also leads to what Kemmis calls the “diabetes police.” The police are usually family members and friends who watch everything a person with diabetes does — especially sugary food intake. There is no specific diabetes diet for people with Type 2. Experts say each person is different, and eating sweets is not necessarily off the menu after diagnosis. Each individual should work with a care team that can create a meal plan that works for them. While eating too many sweets may lead to weight gain and increase the risk of developing Type 2, eating too much sugar does not cause Type 1 or 2. In Type 1, the body's own immune system attacks insulin cells. In Type 2, the body develops insulin resistance. Because of misconceptions about how Type 2 diabetes develops, the myth spread that an adjustment to diet and activity, just getting off the couch and eating less, can cure it. But, the truth is people with Type 2 have to live with it for the rest of their lives. 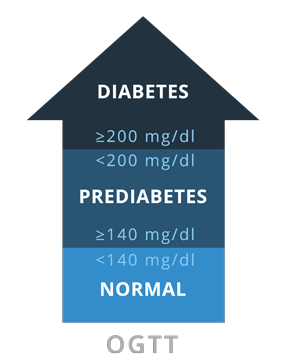 Type 2 diabetes is a progressive disease, and sometimes people might need more medications than they did at the time of diagnosis. This could mean progressing from oral medicines to injecting insulin. Some patients may feel like failures when this happens. People with Type 2 diabetes can manage their disease with diet, exercise and medication, but must always stay vigilant against the complications and relapses of the disease. Taking stronger medications or insulin is not a failure on the part of the person with Type 2. "That’s just the nature of diabetes. Sometimes you need medicine to reverse things that aren’t working metabolically in your body"
There are several sources of diabetes stigma. These messages can affect people with and without diabetes, and many have a negative effect regardless of intent. Browne and colleagues identified the media, healthcare professionals and family and friends as the main sources. Because of the stigma, people newly diagnosed with diabetes may even keep it a secret for fear of judgement. They fear discrimination at work and the sense of blame they may get from others. For example, one study participant said she felt the need to hide it because she had a high-ranking position at her company. Stereotypes can even lead to discrimination and restricted opportunities, though U.S. law lists diabetes as a disability and protects individuals from discrimination. Negative perceptions of the disease — particularly if an individual is overweight — may affect job opportunities and relationships. Media is even more prevalent than ever, and people can watch TV or look online to see presentations of people with diabetes — particularly Type 2 diabetes. As our media shifts to digital content, the internet is a growing source of stigma. Mike Durbin is a 31-year-old health blogger diagnosed with Type 2 diabetes and congestive heart failure in 2008. In an interview with Diabetes Forecast, he spoke about reader comments on his 2011 USA Today profile. Browne’s research points to two views expressed in the media: Type 2 is a lifestyle disease, and emphasis on being overweight and physically inactive reinforced blaming attitudes. People with Type 2 diabetes also felt media often used scare tactics and sensationalism to describe the “diabetes epidemic.” Few stories or features focus on people who successfully manage the disease. Healthcare professionals are also a source of negative feelings and stigma. Participants in Browne’s study reported their doctors focused on what patients did “wrong.” They wanted more encouraging behavior and helpful tips on how to improve. Patients instead reported feeling discouraged and judged. In a story about stigma, Gupta interviewed Dr. Peter Attia, a physician who judged his patients with Type 2 because they were overweight until he had his own run-in with prediabetes. But, while he judged his patients, Attia was borderline obese despite daily exercise and healthy eating. Then he found out he had prediabetes. Now he speaks about shedding the stigma of obesity and diabetes. Another misconception that may spread among healthcare practitioners is that people with Type 2 diabetes need to lose large numbers of weight to make a difference. The information may be discouraging to people with diabetes. “Many people think they need to lose 50 or 100 pounds when studies show that diabetes management can change with a modest 5-10 pound weight loss and moderate exercise of 30 minutes/5 days per week,” Karen Kemmis told Drugwatch. 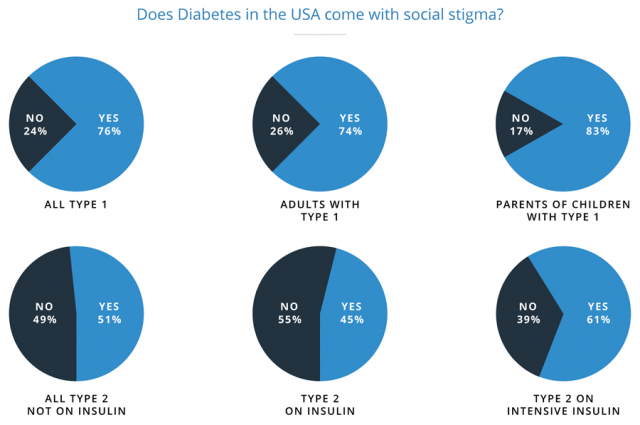 Type 2 diabetes stigma also extends to social life, particularly in intimate situations with spouses or even dating. When it comes to intimacy with a spouse or partner, the fear can be crippling. 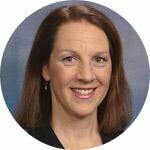 Diabetes educator Janis Roszler is also a marriage and family therapist, and she has seen the stigma affect marriages and relationships. 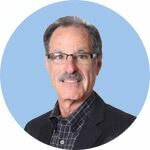 Sexual dysfunction of any kind already comes with a hefty dose of shame, and according to Roszler, diabetes-related dysfunction adds more shame to it. While it can be difficult to overcome, Roszler offers some suggestions to lessen the anger and frustration that can come with diabetes-related complications. "Many of my patients are frustrated because the general public doesn't understand what they go through each day. Diabetes affects every area of a person's life. It isn't possible to take a vacation from it." Even though about a third of Americans have diabetes or prediabetes, there are still misconceptions about the disease. Education is one of the ways to dispel these myths. So, here are the diabetes basics. People can get diabetes at any age. Men and women can develop the disease — though men are more likely to develop it. According to the American Diabetes Association, the disease is the seventh leading cause of death in the U.S. Currently, there is no cure for diabetes though people can manage it through lifestyle changes and medical treatment. There is more than one type of diabetes, and each type has its own risk factors. According to the National Institutes of Health, there are a few key symptoms of diabetes, though some people might not have any symptoms. There are three main types of diabetes: Type 1, Type 2 and Gestational. Doctors develop treatment plans based on which type a person has. This type of diabetes occurs when the body’s own immune system attacks and kills the cells that produce insulin. This stops the body from making enough insulin to manage blood sugar. 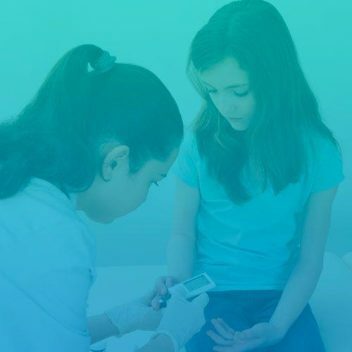 This is the rarest form of diabetes and makes up about 5 to 10 percent of all diagnosed cases in the U.S. Because this type develops most often in children and young people, doctors previously called it juvenile diabetes. But, adults can also develop Type 1 diabetes. 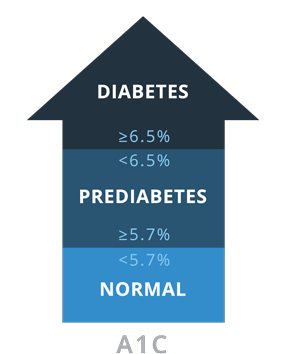 The majority of all diabetes cases in the U.S. — 90 to 95 percent — are Type 2. This type occurs when the body doesn’t produce enough insulin or loses insulin sensitivity. Because it most often affects adults, doctors used to refer to it as “adult-onset” diabetes. This type of diabetes affects pregnant women. According to the American Diabetes Association, 9.2 percent of pregnant women may be affected. 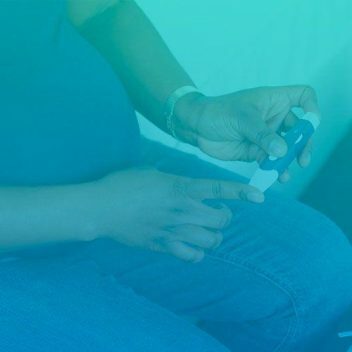 While doctors don’t know the exact cause, they think gestational diabetes occurs when hormones released during pregnancy affect insulin resistance. If left untreated, gestational diabetes can lead to babies with breathing problems and a higher risk for obesity and Type 2 diabetes later in life. Diet and exercise during pregnancy often work to keep gestational diabetes in check. It typically resolves after pregnancy, but mothers with gestational diabetes are at risk of developing Type 2. Doctors use three main tests to diagnose diabetes: A1C, fasting plasma glucose (FPG) and oral glucose tolerance test (OGTT). Each test has normal, pre-diabetes and diabetes levels. Measures average blood glucose over the course of 2-3 months. Measure levels of fasting blood sugar. Patients should be fasting for at least 8 hours prior to the test. This test measures blood glucose before and 2 hours after drinking a special drink with sugar. Another unfortunate risk of diabetes comes from serious side effects that may occur because of medications. While sometimes medication is necessary to help maintain good health in people with diabetes, and many are effective at controlling excess blood sugar, everyone is different and some may react poorly to a particular drug. Studies also link some drugs to more serious side effects. People with diabetes should research each drug and have conversations with their doctor about the risks and benefits. There are several options to treat Type 2 diabetes, and some drugs are older than others. Sodium-glucose co-transporter 2 (SGLT2) Inhibitors are some of the newest drugs available, and the U.S. Food and Drug Administration approved the first drug in the class, Invokana, in 2013. These drugs work by stopping the kidneys from reabsorbing sugar into the blood. The excess glucose leaves the body through the urine. The U.S. Food and Drug Administration and studies link these drugs to serious and life-threatening side effects. The FDA released its first warning in 2015. These drugs work by stopping an enzyme that prevents the pancreas from making more insulin. This means more insulin circulates in the blood longer, helping to metabolize excess sugar. Studies and the FDA link these drugs to some serious side effects. The FDA approved Januvia, the first DPP-4, in 2006. These drugs work by decreasing insulin resistance and helping the body’s cells become more sensitive to insulin. The first TZDs arrived on the market in the late 1990’s. This is one of the most problematic classes of Type 2 diabetes drugs, and studies linked them to bladder cancer and heart problems. Drug makers paid billions in settlements to people who said the drugs caused bladder cancer and fatal heart attacks. Actos (pioglitazone), Avandia (rosiglitazone) and Rezulin (troglitazone) — Rezulin was pulled from the market because of hepatitis concerns. Diabetes educators agree that education and awareness are the best ways to fight stigma. The more information people without diabetes have, the less likely they are to incorrectly pass judgement. 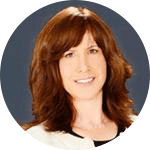 "Helping the public to increase awareness of the emotional components of diabetes would be good," Karen Kemmis told Drugwatch. "It isn’t something that people will likely change with scare tactics. It is really important for people to know that there are many factors to getting diabetes, some that are changeable and others that aren’t." People with diabetes also deal with guilt and self-stigma. Janis Roszler advocates discussing challenging issues with a support group, and if necessary, seeking out a mental health professional. Health care providers can help their patients make meaningful strides, too. Studies show empathy from providers can break down stigma. For example, at the 2015 American Diabetes Association Scientific Sessions Boehringer Ingelheim and Eli Lilly conducted an experiment. They collected data on the lifestyle choices of attendees. Researchers found researchers, clinicians and other industry professionals chose brownies over veggies and 84 percent chose escalators over stairs. It showed even professionals slip up on the guidelines they give their patients. Study researchers suggested that more empathy from providers would improve their patient’s care and lead to more positive health care. Above all, people with diabetes should take one step at a time and be kind to themselves.